I think something has to be done. What that is, of course, is the big question. Whether changing the rules, somehow safer helmets or ultimately (what I think it would take), changing the culture of violence from the bottom up, you simply cannot allow a game to continue which breeds such terrible, terrible brain injuries. 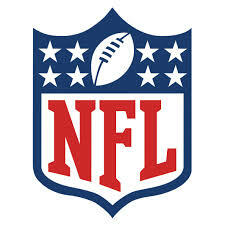 Depending on how much the NFL knew, when it knew it and what it potentially did to cover up information, I don’t want to put too much blame on the organization itself. There’s certainly individual culpability involved here wherein players want the game to stay as is and so forth. The average retirement age for an NFL player is thirty. As a friend pointed out, that may be skewed because there are a lot of players in the league who retire early, but weren’t ever any good; thus, the good players tend to stay around longer, which makes sense. Even so, the point is, players retire very young, relative to the rest of us. That’s a lot of life still to live; do they want to live it with progressively worsening diseases of the brain? I don’t know; I’m just musing here. Add in that nearly 78% of NFL players go bankrupt after retiring and it seems like the perfect storm of hell here. Then again, there are many other professions out there where those involved assume risks, retire earlier than the rest of us and face even life-threatening scenarios, sometimes on a daily basis. I don’t know what the answer is. I don’t know if there even is a way to continue to make the game safer. I just know that it’s pretty frighteningly alarming how awful those hits seem to be over an NFL players cumulative lifespan, again, as indicated by my friend; it’s not so much the one big hard hit to the head, but rather, the little hits that add up. The kicker here for me is if the NFL tried to cover this up; I think that’s the real story here. At the very least, I disregard arguments such as, “Well, back in my day, we weren’t pussies; we took hits, hard hits.” I despise that mentality; it’s disgusting and detrimental to an informed dialogue on this matter. My disdain for the “man up” attitude is well-documented.